How does one become an on-film character that not only represents a nation but is the leader of what will be a decade+ of Marvel Cinematic Universal entries that will last a lifetime? The worry, beyond casting Captain America, was how on Earth could we take a strapping (and hopefully talented) actor, toss him into a red, white and blue skin-tight suit, strap a shield to his forearm and not get laughed out of theaters across the planet? The answer? FUNCTION. While many of the things you see are cleary from the realm of comic book realms, Marvel found a talented, strapping actor, they got the suit, shield and patriotism to work, and it really does propel the very FIRST offering for Captain America in the MCU. Curious to see what WE thought were great moments? 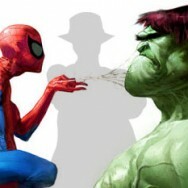 Curious to understand just what a blockbuster this feature film was? Be sure to listen to our Perspective Review, detailing The Hype, The Money, The Good, The Bad, The Franchise, and ultimately The Rating of Captain America: The First Avenger (2011). — A Call for Input: The value of Captain America (and really, the whole Marvel Cinematic Universe) is truly a perpetual thing. Depending on your age, favorite program and “perspective” – we know that you’ll have questions about the movie, our opinions and concepts we haven’t even though of. Contact us today to tell us more about what you think now! — What do YOU remember about The Hype from Captain America: The First Avenger (2011)? Tell us now? — Where did YOU see Iron Captain America: The First Avenger (2011)? Tell us now? — How much did YOU pay for a ticket to see Captain America: The First Avenger (2011)? Tell us now? — Where did YOU see Captain America: The First Avenger (2011)? Tell us now? — What did YOU think was “Good” inside Captain America: The First Avenger (2011)? Tell us now? — What did you think was “Bad” inside Captain America: The First Avenger (2011)? Tell us now? — Where do YOU think the Captain America Franchise will go from here? Tell us now? David Carite: David Carite, originally from New Orleans, received his initial geek education from a beloved uncle that provided knowledge, insight and details in all things geek. 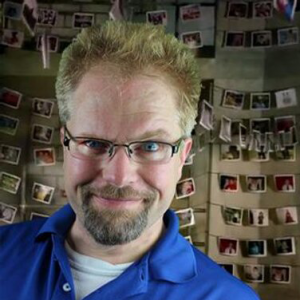 David’s interest in horror in particular, led him to host a podcast dedicated to the detailed review and education for fans of the hit HBO-show, “True Blood”. The Fangbanger Podcast took pleasure in conveying the heights but more importantly the LOWs of a television program that was originally original – that finished differently to be sure. 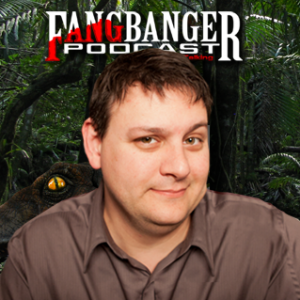 Check out all of the episode of The Fangbanger Podcast, as well as David’s appearance inside a number of episodes of The Perspective Review Series. Kip Lewis: Calvin “Kip” Lewis is a sign language interpreter in the St. Louis area who has been a comic book fan and zealot for most of his life. He is a frequently-called-upon podcast host when it comes to all-things-comics inside the 2GuysTalking cone of operation.The bottom line is where you’re looking for deep-running lines in silver and golden age comics, especially when the relationships between comic book characters is concerned – Kip is the one-stop knowledge shop. 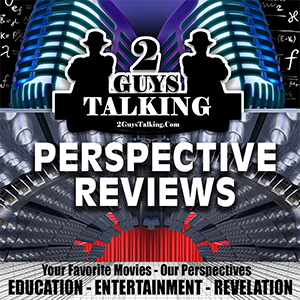 Kip’s work on the 2GuysTalking Podcast Network can mostly be found inside The Perspective Review Series, as well as on and off again episodes of The Agents of SHIELD Podcast.